Imagine it’s 1962 and you’re a designer experiencing the glory of mid-century architecture, industrial design, and graphic design. The Eames’ have recently developed molded plywood chairs, Buckminster Fuller is about to begin work on Montreal Biosphere, and Paul Rand is designing annual reports for IBM. Their contributions to the professions and culture are becoming monumental, and the era is bursting at the seams with good design. Now picture a used juice can made of tin. It has a burnt top made of copper fringed “antennae”, and is connected haphazardly with wires to a rusty nail and radio transistor. In the context of mid-century design—or any era of design for that matter—it’s very, very ugly. But for just a moment, I want to question what designers really consider to be beautiful, and how beauty can go deeper than appearance or even function in design. In 1962 Victor Papanek, a designer and educator, was approached by representatives of the U.S. Army. New communications and transport problems were emerging on a global scale—especially in third world countries, where access to basic needs dwindled. The Army needed help designing a device that could deliver a radio signal to people living in remote parts of the world: villages which were primarily illiterate, unaware of the fact that they lived in a nation-state, and had no electricity, money for batteries, or access to broadcast news. 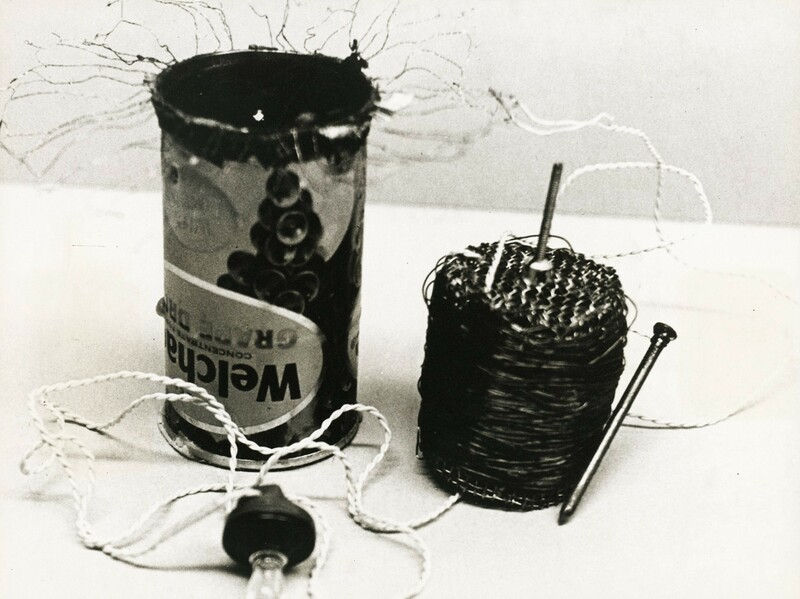 Victor Papanek and George Seeger’s Tin Can Radio Prototype, 1962. This tin can was a prototype solution for Papanek and a particularly gifted graduate student, George Seegers. The tin can was able to act as a one-transistor radio. It was non-directional, meaning it could only pick up one radio signal. This seems problematic, until you consider that the particular areas the radio was designed for typically had only one national news broadcast. Used tin cans were in abundance around the world, and the radio could be fueled by dried cow dung, paper, wax, or generally anything else that caught on fire. The heat produced would then rise to the top, and was converted to energy which would power an earplug speaker. Its manufacturing cost was 9 cents. It functioned as a communication device for preliterate areas of the world, and was given to the U.N. for use in villages in Indonesia. The radio is truly a great accomplishment—it was sustainable, served the people who would use it in the affordable and accessible way possible, and was at least beautiful in a functional sense. But the consideration of form, of visual beauty, seems to be missing entirely. For designers especially, visual attractiveness is often how beauty is measured, and Papanek’s radio begins to poke at designers’ seemingly innate preference for “tasteful” design. Aesthetics is the branch of philosophy which deals with the nature of beauty, and it has been a debate among philosophers, artists, and designers for centuries. Consider Plato as an example. He argued that beauty was objective in the world. Plato thought that experiencing individual material things with our senses were pointing us towards the highest, most objective forms of beauty. Aristotle, on the other hand, was more focused on the idea of natural beauty as it relates to function, utility, and purpose. Rather than pointing towards an abstract, objective concept of beauty, Aristotle sought more practical explanations. He believed formal qualities in the world which have a particular fit, purpose, or goal were beautiful. Aristotle is sort of a precursor to the idea of form and function in design. Jumping ahead to the 1960s, Bruno Munari, the famous Italian designer, inventor, and artist described a leaf as the perfect combination of form and function. In his 1966 book Design as Art, he talked about how beauty in an abstract sense for designers often means that a design has particular style, and is tacked on at the end of a project. 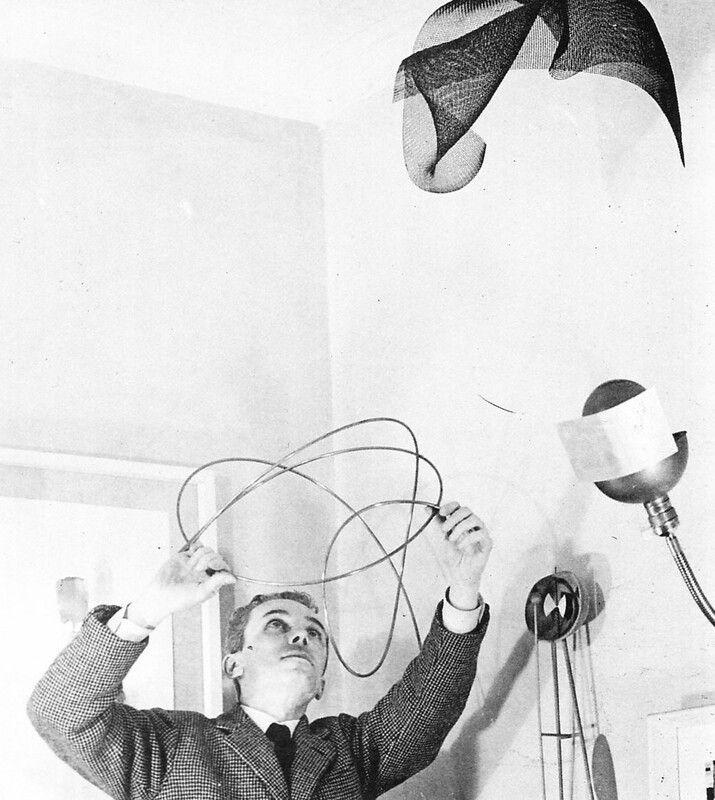 Bruno Munari in his Studio. In Munari’s eyes designers are the connectors of art and the public. He believed we must have humility to approach problems without preconceptions of stylistic choice, and should focus on responding to human need. This ushers in a new dimension for visual beauty: one which is based on people’s needs. It also introduces an ethical element to aesthetic choices. Back to Papanek’s tin can radio. In 1967, Papanek showed slides of the radio at Hochschule für Gestaltung in Ulm Germany. Sadly, it was criticized for its visual ugliness. When I first saw the radio, I agreed. In my mind, I felt Papanek had completely ignored the aesthetic qualities of the design. I thought about how it would feel for the people who would receive it, and how it seemed that no consideration had been given to their reception of the object. Why not just paint it a solid color? Interestingly, this is exactly what was suggested by the others at Ulm. Even Papanek admitted that he believed it to be ugly. Yet he felt he had no right to make “aesthetic” or “good taste” decisions which could negatively affect millions of people in different cultures around the world. And the payoff? When Papanek’s radio design was given to the people of Indonesia, they decorated their tin cans using native materials: paper, glass, shells, fabrics, and stones. Papanek had cleverly “built-in” a chance for the users to make the radio their own. Papanek’s Tin Can Radio decorated by an Indonesian user. As communication designers continue to move into the frontier of web and user experience design, designers ought to consider the needs, expectations, and cultural understandings of beauty which are unlike their own. The risk is miscommunication on a global scale. While the web is certainly a great equalizer and homogenizer of sorts, simple aesthetic choices such as choice of color, typeface, grid structure, or even the alignment of various languages can communicate a lack of cultural understanding. Aesthetic choices have the ability to demonstrate empathy on the part of the designer—to cultivate understanding across cultural barriers. As designers, it’s becoming necessary that we consider the ethical dimensions of our aesthetic choices, and what we consider as beautiful.